The Kia Sorento is a mid-size crossover SUV with seating for up to seven passengers in three rows of seats. With the Sorento, Kia has a crossover to fill a growing need for many families, but it hasn't always been that way. Like the mechanically related Hyundai Santa Fe, the Sorrento started life as a traditional SUV but has evolved to a more modern, car-like crossover. The Sorento faces off against a raft of competitors including the Chevrolet Equinox, Ford Edge and Explorer, Nissan Murano, and the Dodge Journey. Of course, its half-sibling, the Hyundai Santa Fe, should be considered as well. Kia introduced a new Sorento at the 2014 Paris auto show. The third-generation model arrived in the U.S. as a 2016 model. Its styling is an evolution of the previous model, with all of Kia's latest brand cues mixed in. The Sorento's engine lineup expanded to three choices: an improved version of the 2.4-liter inline-4, the same 3.3-liter V-6 from before, and a 2.0-liter turbo-4. The wheelbase was stretched 3.1 inches, and the chassis was reinforced and strengthened to improve handling and ride. The new Sorento also carries additional standard and optional features, such as a surround-view camera system, power-adjustable second-row seats, and several advanced-safety items. The new Sorento was more refined than its predecessor, with a very nicely finished interior and improved materials. The styling is more cohesive, owing some to Kia's coming of age in the U.S. Like other new Kias, it offers three driving modes: Sport, Normal, and Eco. They tailor engine, transmission, and steering settings based on the selected mode. In line with the competition—or perhaps slightly below it—prices for the current Sorento start at about $26,000, though a heavy hand on the options list will drive that above $30,000 quickly and the top models go for more than $40,000. For 2018, the Sorento's turbo-4 bit the dust, but an 8-speed automatic replaced the 6-speed on V-6 models. Minor chassis and steering revisions improved its ride and handling, too. 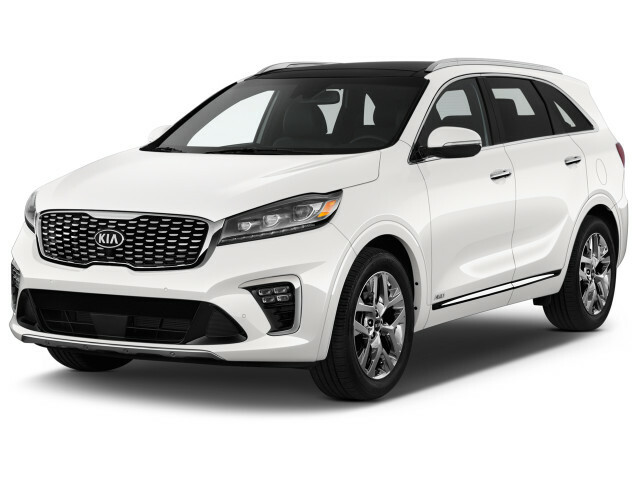 For the 2019 model year, Kia dropped the turbo-4 Sorento, added an 8-speed automatic, and gave it a mild facelift. In its first generation, which was sold from 2003 to 2010, the Sorento was a body-on-frame SUV instead of using a carlike unibody to create a crossover. 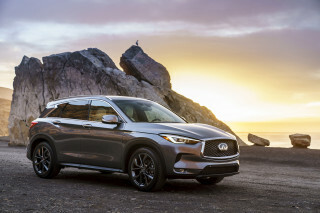 This decision hurt the model some, as many families prioritize the interior space, ride, and handling of a crossover over towing and off-road capability offered by a traditional sport-utility and its truck-like frame. One of two V-6 engines—a 242-horsepower 3.3-liter and a 262-hp 3.8-liter—was matched to a 5-speed automatic transmission. Four-wheel-drive capabilities were offered on both, but the system for the smaller engine was part-time rather than full four-wheel drive. Towing capacities were 3,500 and 5,000 pounds, respectively, for the smaller and larger engines. Fuel economy, however, was just 16 mpg city, 22 highway with the smaller engine, and a dismal 15/20 mpg with the larger. The 2011 Kia Sorento switched from old truck-style body-and-frame construction to a car-based platform. Many of its mechanicals were closely related to those in its corporate cousin, the Hyundai Santa Fe. Production also moved to Georgia. And like many of its competitors, it offered a choice among two 4-cylinders and a V-6, rather than two sizes of V-6. The 276-hp, 3.5-liter V-6 with 6-speed automatic was rated at up to 26 mpg highway. The 175-hp, 2.4-liter inline-4 was rated at up to 29 mpg highway and came with either a 6-speed manual or 6-speed automatic, while a direct-injection version, new for the 2012 model year, had 191 hp and EPA-rated highway mileage of up to 30 mpg. Front-wheel-drive was standard, with all-wheel drive available on all except the base manual-transmission version. All Sorentos in this generation came well-equipped, with air conditioning, cruise control, satellite radio, and a tilt/telescoping steering wheel standard. A third-row seat became standard on V-6 models. 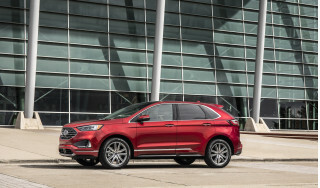 The EX model added 18-inch wheels and a host of electronics, including keyless ignition, backup sensors, automatic headlights, leather seating, and a power driver’s seat. Options included navigation, a better audio system, a sunroof, a DVD entertainment system, and Kia's voice-command UVO system. While its outward appearance didn't change much, the 2014 Kia Sorento got a substantial mid-cycle refresh. 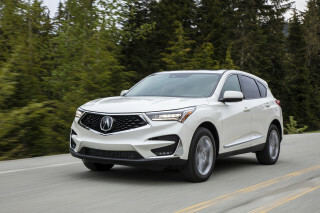 Updates included a re-engineered body structure, a new 290-hp, 3.3-liter direct-injected V-6 engine (in addition to the 191-hp inline-4), improved versions of the available all-wheel-drive system, and a long list of new features. 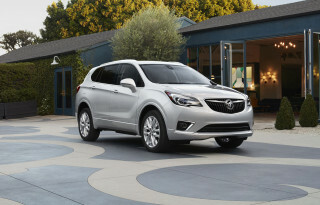 The front and rear end were restyled, and the Sorento's infotainment systems were upgraded. 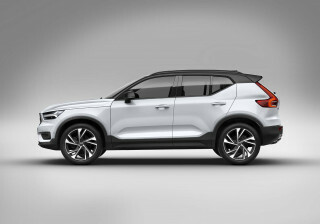 The systems offered 8.0-inch screens, Infinity premium audio, real-time traffic info, and next-gen UVO eServices features. For 2014, a top Sorento SX model added nappa leather upholstery, heated rear seats, and a wood-trimmed heated steering wheel, as well as HID headlights and more on the outside. Other new features included second-row sunshades, ventilated seats, and a power inverter.